This is my creative works of art. 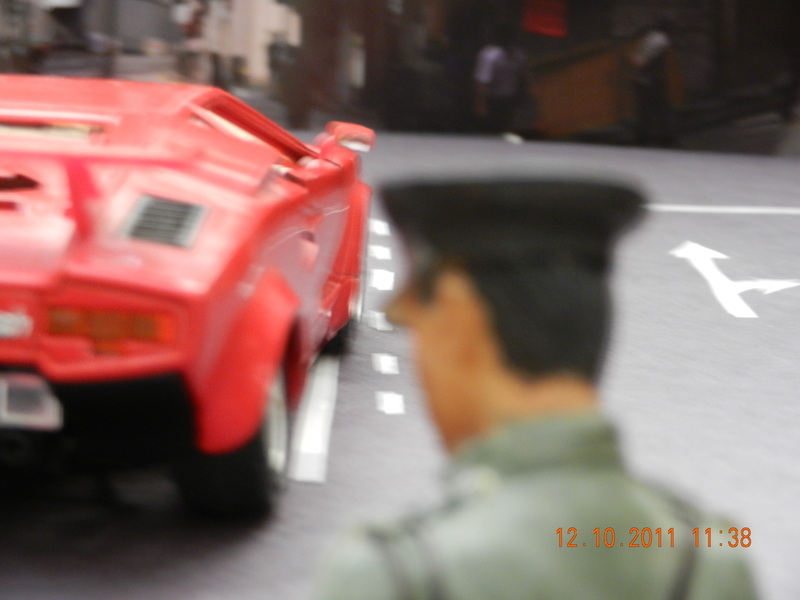 This is a mock up scene with a model Ferrari and a police officer figure. I carefully and creatively put together the two models and created an effective backdrop for the whole story of a speeding Ferrari in trouble for going over the speed limit. I want to remind us to drive safely, especially during Christmas time.